Home Blog Love Your Location But Not Your House? Remodel! Have you considered moving because of your home’s outdated fixtures, scuffed surfaces or cramped spaces? If you love your location but not your house, it may be worth considering a remodel instead. A report by the National Association of Realtors® found that after remodeling, 65 percent of people surveyed enjoyed their home more and 75 percent had a greater desire to spend time at home. 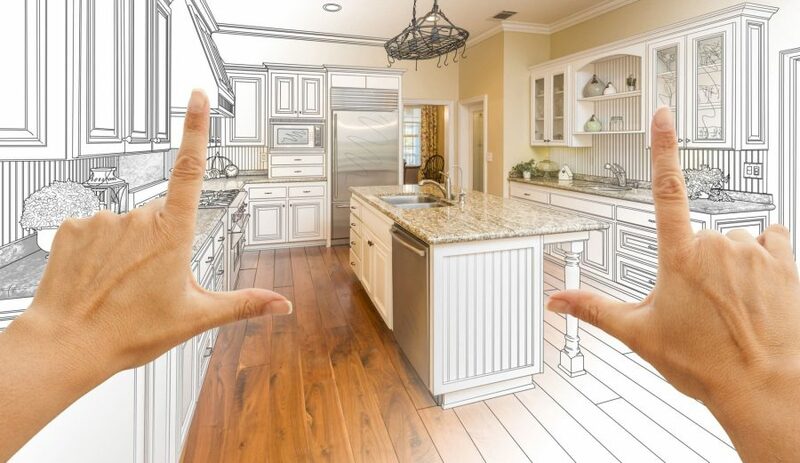 * Could remodeling revitalize your home, too? Your home is in need of an upgrade. Maybe your home feels like it’s stuck in the ‘60s. Or you don’t have the proper space to host guests. Or perhaps you’re getting older and need better accessibility. A renovation could solve these problems without the hassle of moving. It’s cheaper than buying a new home. In most scenarios, you’re likely to save money by renovating rather than buying a new home. This is especially true in the current U.S. housing market, as many tax benefits for home buying have been reduced or eliminated and prices have become unfavorable for buyers. You’ll be better prepared for selling. If you still find yourself unsatisfied with your home after remodeling, at the very least you’ll have increased the value and demand of your home when it comes time to sell. Financing is affordable. If your remodel will require financing, now’s a great time. With home prices rising, that means you can borrow more against the equity of your home. Do your research. If you plan to hire any remodeling contractors, research their credentials first. Do they have good reviews, at least three years of experience and membership in the National Association of the Remodeling Industry? Create a budget. Determine how much you can afford to spend on your project and then make purchases as if you’re aiming for 90 percent of it. This will provide you with a monetary cushion in the event of the unexpected. Save money for the renovation. You can reduce the debt you take on from your renovation by stockpiling cash in the months prior. Place the money in a secure savings account and you can start earning interest, too. Want to get started on your remodel but don’t have the cash to spare? A home equity line of credit could be all you need to give your home an upgrade. PeoplesBank offers low rates and flexible terms to fit your home improvement needs. Learn more about the PeoplesBank Home Equity Line of Credit today! ** Source: Remodeling 2018 Cost vs. Value Report. © 2018 Hanley Wood, LLC. Complete data from the Remodeling 2018 Cost vs. Value Report can be downloaded free at www.costvsvalue.com.